This didn’t turn out like I wanted but you can get the drift. Ghosts and goblins don’t scare me. What about bears and lions you ask? Not in the least. Most of the time if they attack they are only protecting their territory or their young. Now I must say I have never been in front of a ten foot tall, mad mama bear but sitting here in the comfort of my home I am not afraid. What about snakes? I will admit they get my heart going but not really afraid of them. Again, I have never come face to face with a black mamba or a king cobra but, for now, I can say I am not afraid. Most animals are the same. They wake up, they search for food and water, they sleep. Add breeding when it’s that time. Monsters don’t scare me either. I mean if you can’t outrun Frankenstein or the Blob then shame on you. Yes, I know there are faster monsters out there but I am not scared. You want to know what really scares me? People scare me more than anything else in this world. They can look you in the eye and lie to you. They can say they will never let you down and two seconds later they let you down. They can be your best friend one minute and your worst enemy the next. They can take you for granted. They can say they will love you til death parts you and then leave for someone else six months later. They can do unimaginable things when they feel desperate. Back then into a corner and they can be worse than a king cobra. They can hate you for no other reason than the way you look. 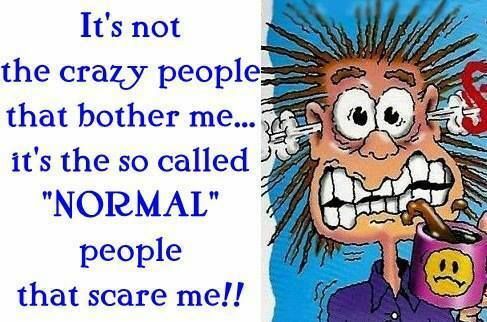 Yes people scare me more than ghosts and goblins. Yes they scare me more than any other thing in this world. But I have seen some hope. I have seen people jump in front of a bullet to save a total stranger. I have seen people spend hours in a hospital room holding a loved ones hand. I have seen people give so much of their time to help the least of them. People scare me. But I have hope. I have a dream that people will love more than they hate. That they will stand by their word. That when they commit they understand what that truly means. People can be more unpredictable than any animal I know. But, unlike animals they can also do more good than they can imagine. Yes! 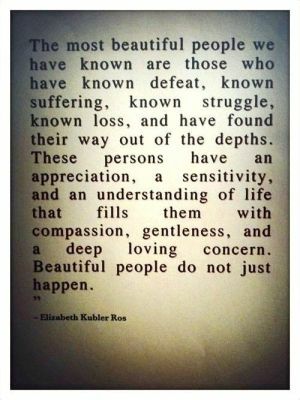 And love the Kubler-Ross quote, btw. Hi, turkey in ankara. very, very nice. I love your blog. spectacular.